We understand how incredibly important your wedding day is and will help create the perfect look for you and your entire party. Rapunzel’s Salon and Spa offers complete bridal service packages for the bride and her wedding party. Our talented team of bridal hair stylists and makeup artists are ready to create any hairstyle that you have been dreaming of and we want you to bring us any ideas that you have. During your hair and makeup trial, we ask that you bring your veil, jewelry, and any hair accessories that you might be wearing that day. During a trial session, we will go beyond just talking and actually do the exact bridal makeup and/or wedding hair look or style we discussed. You will have a very accurate idea of the look you have dreamed of and the peace of mind that come the big day; you will look exactly how you had envisioned. 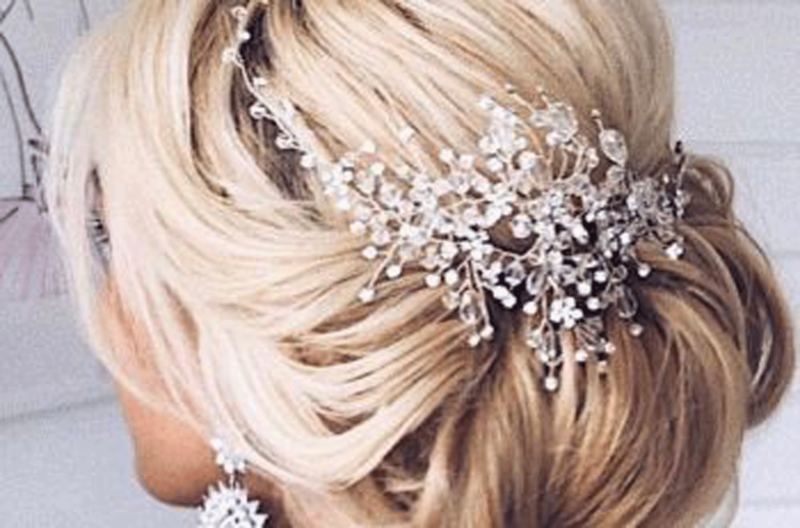 Why do you need a trial session for your bridal hair and wedding makeup? We want you to look your best, with perfect confidence that your wedding hair and makeup represents you at your best. When is the best time for your trial session? You should schedule your trial session within 2 to 3 months before your wedding day. Brides who do the trial session too early often end up changing their looks several times over. How should you prepare for your trial session? Please carry along all the accessories that you will wear on your neck and above, your hair should be clean and completely dry. It is also a great idea to wear a white top that has neckline similar to that of your wedding dress.